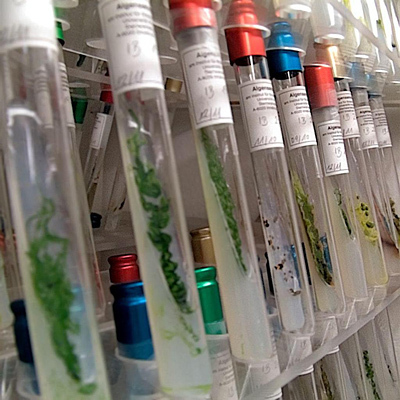 the algal collection of the department of botany (university of innsbruck, austria) is an extremely photogenic subject. i published some pictures of the collection a few years ago, one of which has since been awarded “science image” by our university’s biannual magazine. now, i’m happy to present the first interactive “living pictures” of the collection, taken with a lytro lightfield camera. somehow, it’s fascinating that you can tell these (mostly) single-celled organisms apart by the macroscopic shape of their cell colonies. la “tengo 9999 dias” fiesta!